Coming the weekend of May 20-22 we welcome the Theodicy Jazz Collective to Christ Church Cathedral. Join us for ancient music with a modern melody. This music is a constant prayer, sometimes a cry of joy, sometimes a shout for action, sometimes a deep, silent hope. This Ellington-style jazz group will offer several exciting events over the weekend, culminating with a blend of jazz music with our choirs. Theodicy Jazz Collective was formed in 2006 and has performed at churches and cathedrals around the globe. The band has also held workshops at Oberlin Conservatory, and at Yale, Oxford, and Cambridge universities. CDs will be available for sale at Christ Church Cathedral. Free parking is available for Christ Church Cathedral at the Express Parking Garage at 20 N. Pennsylvania St. Please bring your ticket to church to be validated by an usher. Bruce Neswick, Director of Music, Trinity Cathedral, Portland Oregon. Are you ready to discover what a difference you can make in the global community this fall? 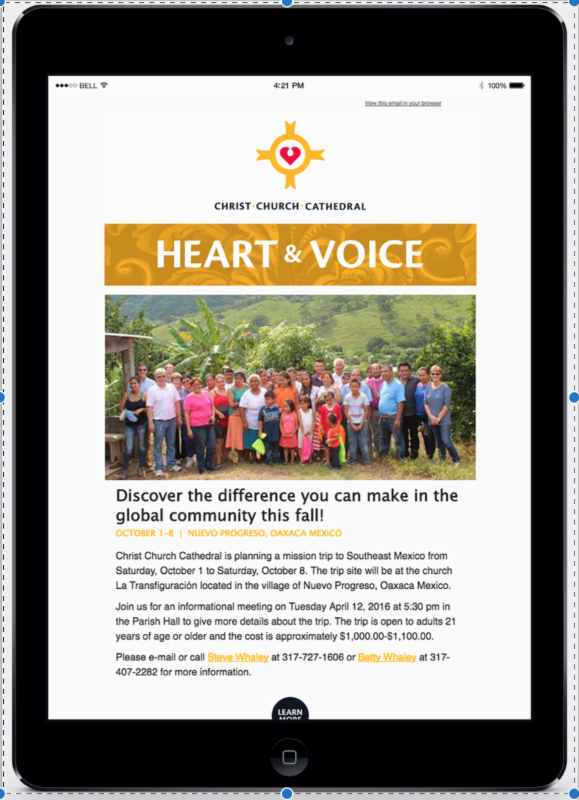 Christ Church Cathedral is planning a mission trip to Southeast Mexico from Saturday, October 1 to Saturday, October 8. The trip site will be at the church La Transfiguración located in the village of Nuevo Progreso, Oaxaca Mexico. Join us for an informational meeting on Tuesday, April 12, 2016 at 5:30 pm. We will meet at Christ Church Cathedral in the Parish Hall to give more details about the trip. Free parking is available at the Express Garage. The trip is open to adults 21 years of age or older and the cost is approximately $1,000.00-$1,100.00. This cost includes air-fare, checked baggage fee, lodging and insurance. Meals are not included in this estimate. Trip applications will be available at the meeting. Completed applications must be received by May 10, 2016. In the meantime, if you have questions, please contact Steve Whaley at 317-727-1606 or steve.a.whaley@gmail.com or Betty Whaley at 317-407-2282 or betty.whaley@yahoo.com. What do you make with over 1,500 pounds of flour, 350 pounds of sugar, 100 dozen eggs, and 80 gallons of milk? A Christ Church Cathedral Tradition! But only with your help! Join us for Bake Week, Sunday April 3rd through Thursday, April 7th. We will make over 19,000 English shortcakes by hand for the Strawberry Festival on June 9th. The shortcakes are made from the original recipe, by hand, and then frozen, as there is no way to safely supply so many biscuits fresh for the Festival. Strong men and women are also needed to help deliver the baked cakes to our freezer facility. Please e-mail Jackie Kenton if you can lift a box of 20 pounds or more and are able to help! Join Christ Church Cathedral for Holy Week and Easter! We offer free parking for those attending our worship services in the Express/EZ Park Garage, located at the corner of Market and Pennsylvania Street. Bring your parking ticket with you to the church, so that one of our ushers may validate it for your exit. 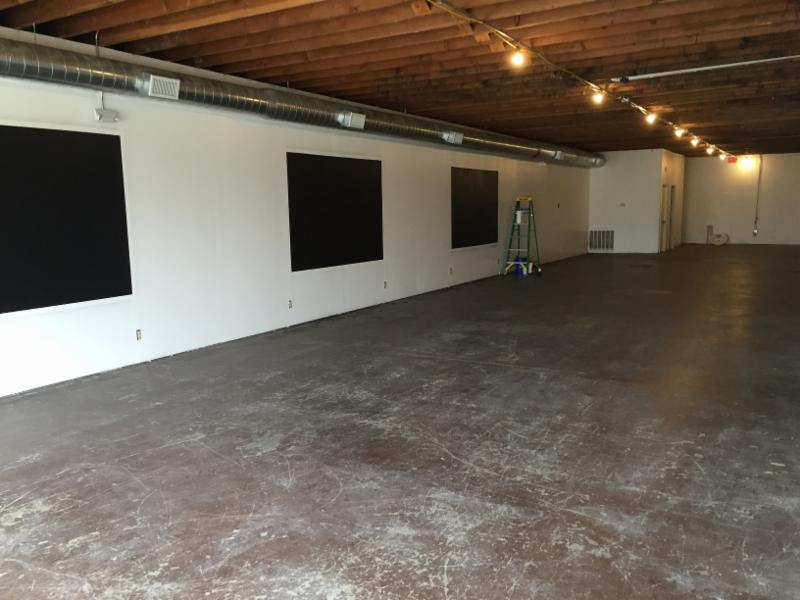 In early March, the Cathedral signed a lease on a store-front space in Fountain Square. Over the next few months we'll be taking time to get together, talk, pray and partner with the work of the Spirit that is already taking place in Fountain Square. Come join us for light refreshment, see the space, and dream with us on Friday April 1st from 7pm-9pm, and continue to look for more events in Fountain Square!